Whenever we visit a new place, especially if there’s a language difference, we tend to pick up new words and phrases. During the trip these terms become important aspects of the experience and while we may eventually forget many of them, some always stand out and help us remember those amazing travel moments. In Tahiti there are many such words and phrases, expressions used to acknowledge everything from “Hello,” to “Have a good day,” and even places where visitors spend some time. 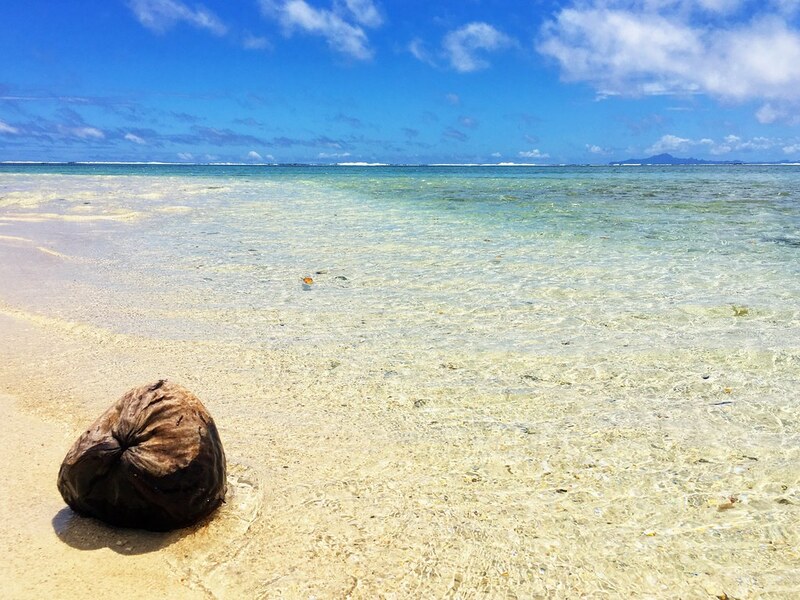 For me, motu is one of those important words because my experience with them throughout French Polynesia in large part defined my trip to this paradise on Earth. Although I had heard the word before, it wasn’t until I finally first set foot on Tahiti when I learned the true and proper meaning of motu. Using geographical terms, a motu is a reef islet formed by broken coral and sand, surrounding an atoll. In other words, it’s a very small island. French Polynesia being what it is, there are thousands of small motus scattered around the Pacific Ocean, ranging in size from practically nonexistent to somewhat large. They’re also little slices of heaven, at least that’s my very unscientific view of them and it’s thanks to their unique geographical qualities that they are ultimately the highlight of any trip to the Society Islands, a fact that Windstar Cruises uses to the advantage of their guests. Traveling on a Windstar cruise was the perfect first introduction to Tahiti and the islands of French Polynesia. 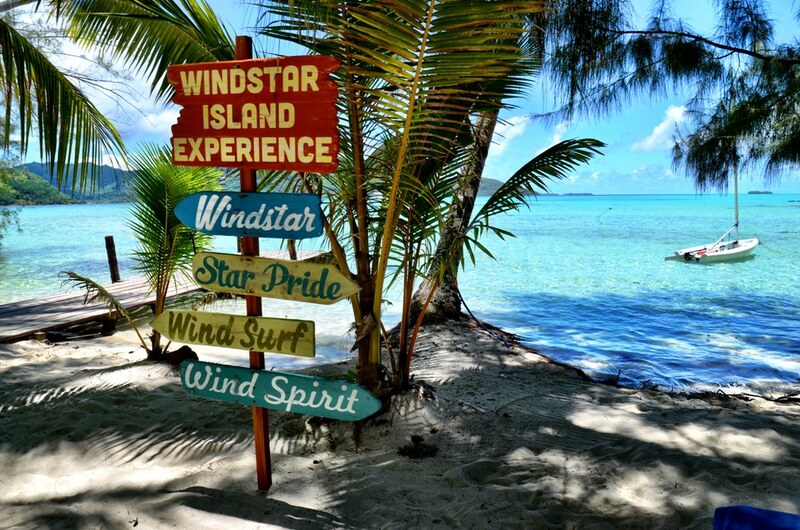 I had wanted to visit for so very long that I wanted to do it “right,” and Windstar was the perfect choice. I knew that I wanted to visit as many islands as possible and a cruise really is the only way to accomplish that. More than just a conveyance though, the experiences offered by Windstar truly turned the trip into an extraordinary journey, including their inclusion of a couple private motus for our enjoyment. When we anchored at the island of Taha’a, or the Vanilla Island, we were told that a private motu was being prepared for our use throughout the day. It turned out to be so much more than that though and for many of us, myself included, it was a highlight of the voyage. I joined a short excursion exploring the island in the morning, but immediately following my snorkeling adventure I was shuttled to the motu to rejoin the rest of the passengers. 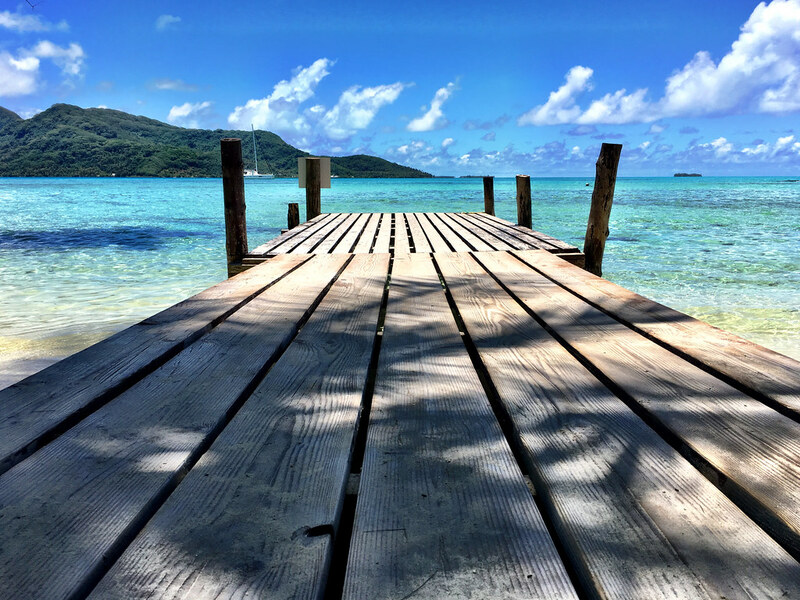 As soon as I stepped onto the dock, a Windstar crewmember was there to welcome me with a tropical drink and a broad smile, the perfect introduction to a relaxing afternoon. A medium-sized motu, Windstar had relocated its services to the islet for the day. The kitchen crew had buffet stations set up for lunch, there were drink stands, water sports and games. Most of the passengers had decided to do very little though, instead opting to take advantage of the lounge chairs spread along the beach. I doubt there are ever any bad days in Tahiti, but that one seemed a little bit better than normal and my day spent relaxing on the Windstar motu was as pleasant a day as I’ve enjoyed in a long time. It wasn’t the only motu stop for Windstar guests though, towards the end of the voyage we visited another small island near Bora Bora for a very different type of experience. Donning our best tropical dinner attire, we were shuttled to the beach for a special Destination Discovery event. Again using a private and secluded motu, when we arrived we discovered a lavish feast had been set out for us. But before digging in, most of us decided to explore the motu and to watch one of the best sunsets I’ve ever seen. The meal was delicious and as soon as the stars had come out, a troupe of local fire dancers emerged to offer some evening entertainment that was festive and fun. It was a wonderful evening and the perfect capstone to the cruising experience. 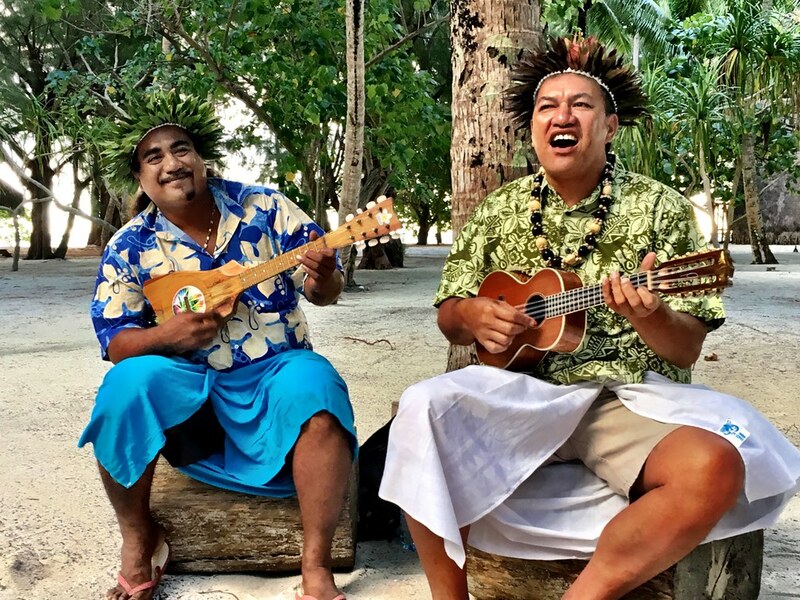 Not all of my motu experiences were with Windstar though, I enjoyed them on excursions as well, including a very special moment while staying at the luxury hotel, Le Meridien Bora Bora. I love to travel and almost always have a great experience wherever I end up. Sometimes though all of the stars align and a perfect moment is created, such as what occurred for an entire day when I stayed at this resort. There I experienced relaxation and contentment the likes of which I never knew possible for me. As a Type-A person, I don’t particularly like to relax. I enjoy being busy, but while on Bora Bora I decided to go with the flow and the results were amazing. One of my favorite moments was the morning of my departure when I took out one of the resort’s kayaks and went exploring. Gliding effortlessly through the crystal clear water, and under the overwater bungalows, I soon found myself in a more secluded area of the resort and stumbled on the hotel’s private motu. I beached the kayak and decided to just sit in the languid water for a while, doing nothing excepting trying to permanently emblazon that moment in my memory forever. I’d wanted to visit the South Pacific since I was a toddler and the fact that it surpassed every expectation I had of it still amazes me. It may seem odd to devote an entire post to islets. And granted, when I think of it that way perhaps it is. In a region famous for its hundreds, even thousands of islands, why care about these little, mostly nameless spits of land? Tahiti and the entire Society Islands region are about a lot of things. They’re about the amazing people who live there and who make any trip to the islands so interesting. They’re about beach and water scenes so perfect that you feel as if you’ve walked into a postcard. But, for me at least, the South Pacific was an important opportunity to both disconnect with the outside world and to reconnect with myself. The past year or so has been hard for me, for reasons personal and private. Instead of mentally processing them, I’d simply worked through them, which turned out to be a horrible idea. The negative ripple effects on other aspects of my life became cascading and threatened to throw me out of control completely. Tahiti changed that, well, it started the process at least. It forced me to be alone with my thoughts for once, to process the events that life has thrown at me and to come to terms with them. I did that on those motus. The motus gave me the opportunity to be completely alone, sitting on a beach facing the ocean that stretched for thousands of miles in front of me. I felt as if I was on the edge of the world and I loved it. I loved being as far away from my world as I could be, enjoying the region, sure, but also enjoying time with myself. It’s a process to be sure, but the South Pacific and those motus set me off on the right foot, and I’m sure I’m not alone in discovering the restorative properties those tiny islands possess. Tahiti has long inspired people from around the world not for its outward beauty, well not only, but because of the inward beauty it inspires. There’s a reason why the folks who live there are so happy, and it has nothing to do with the palm trees. They’ve learned how to live a meaningful life and that, that is why those little motus are so very important.